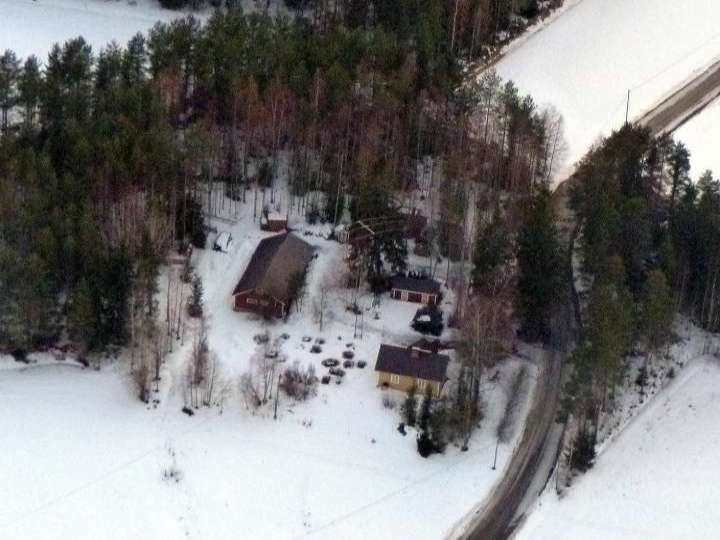 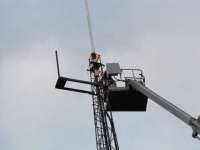 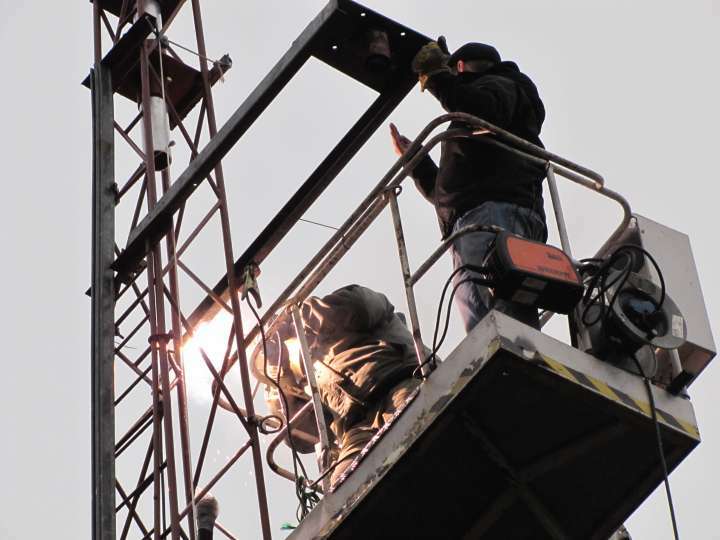 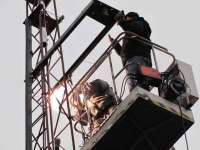 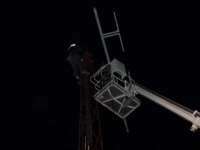 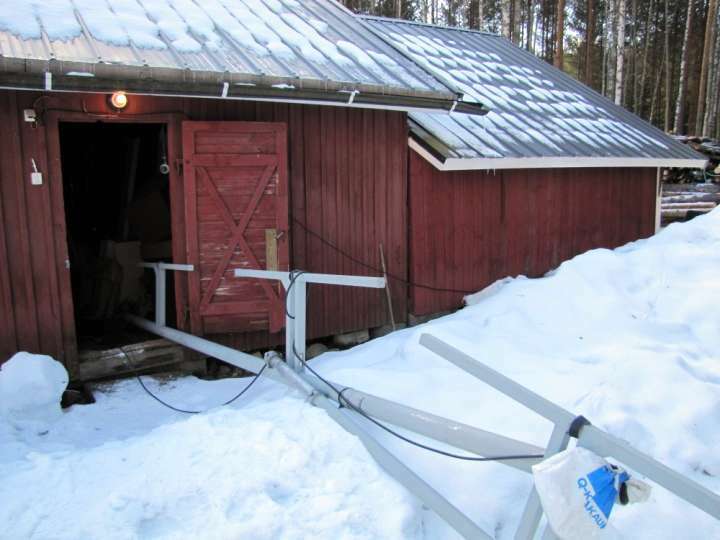 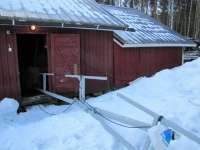 December 1.12. transmission was followed by a cable television camera crew. 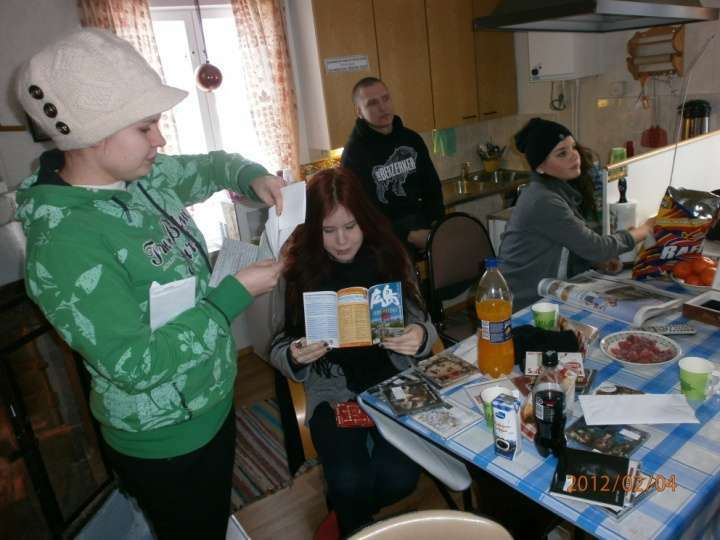 In large numbers were also present New Faces group in program making. 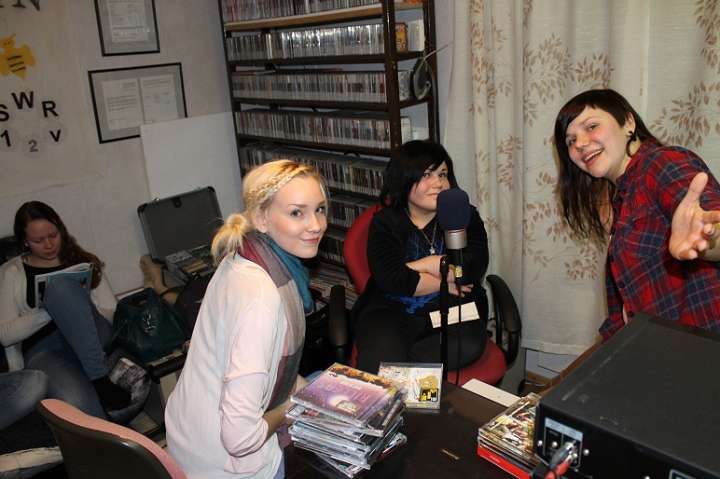 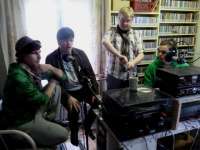 New students arrived at the station in Nov 3rd broadcast. 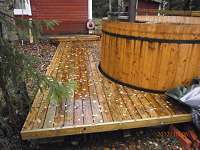 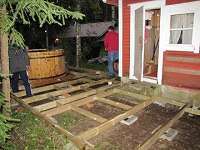 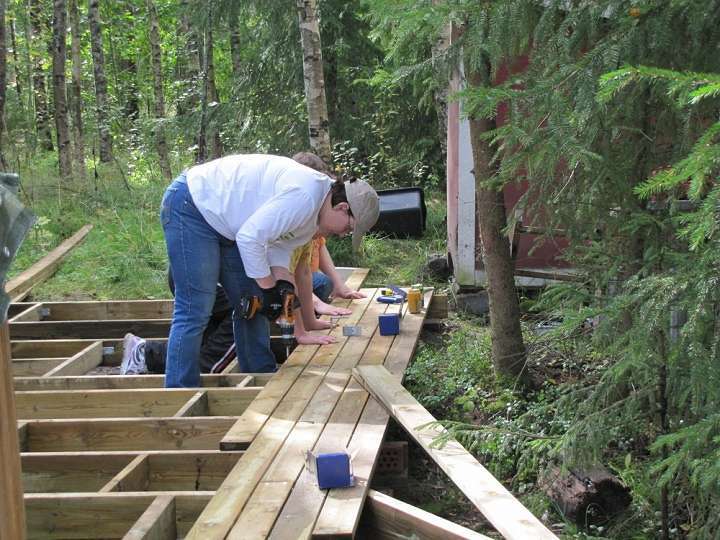 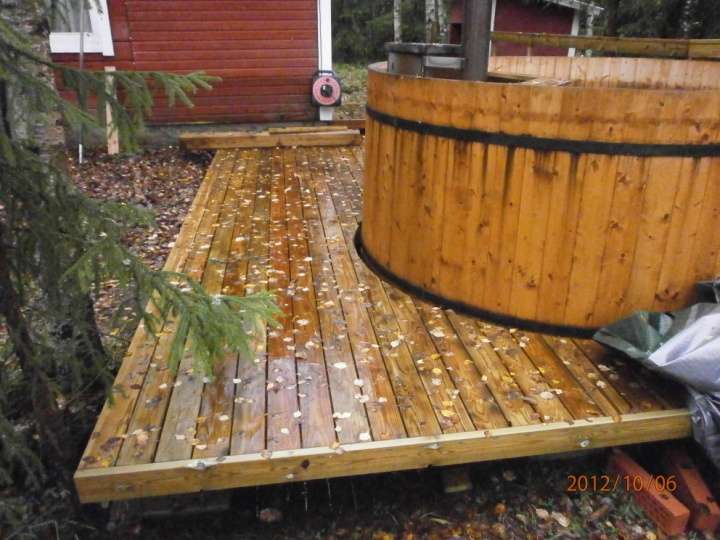 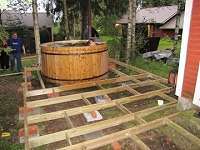 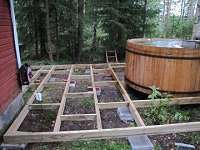 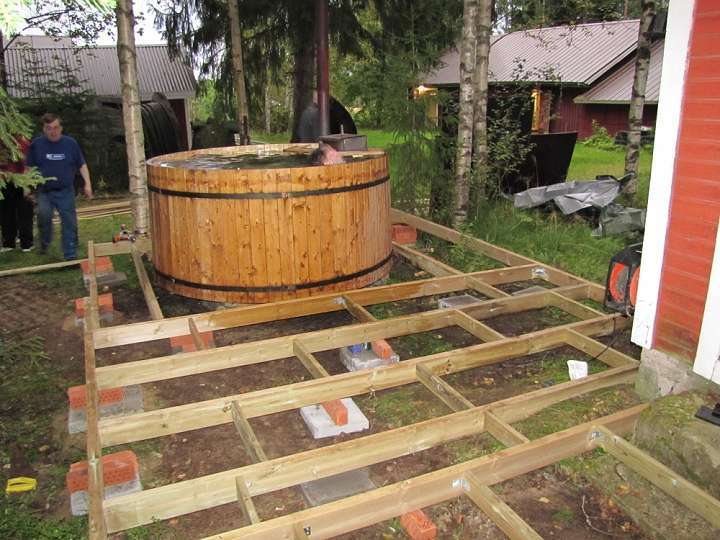 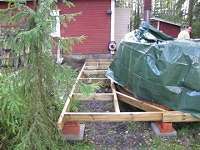 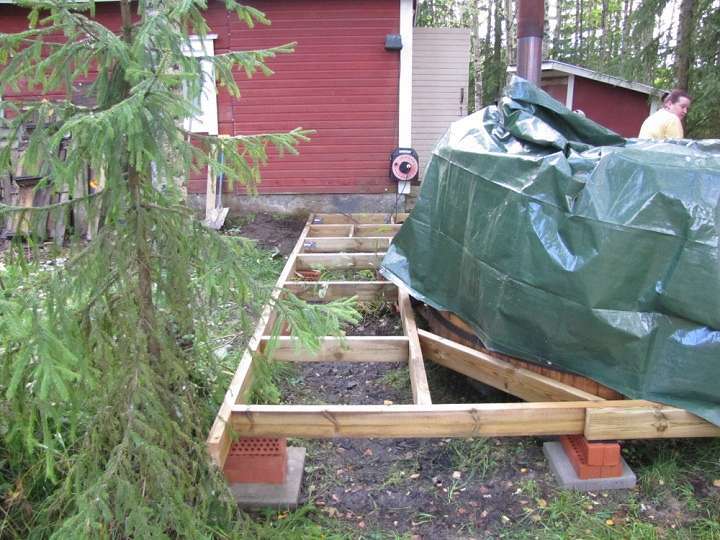 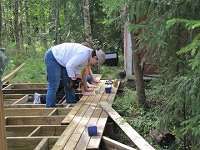 Sauna terrace will be completed rapidly. 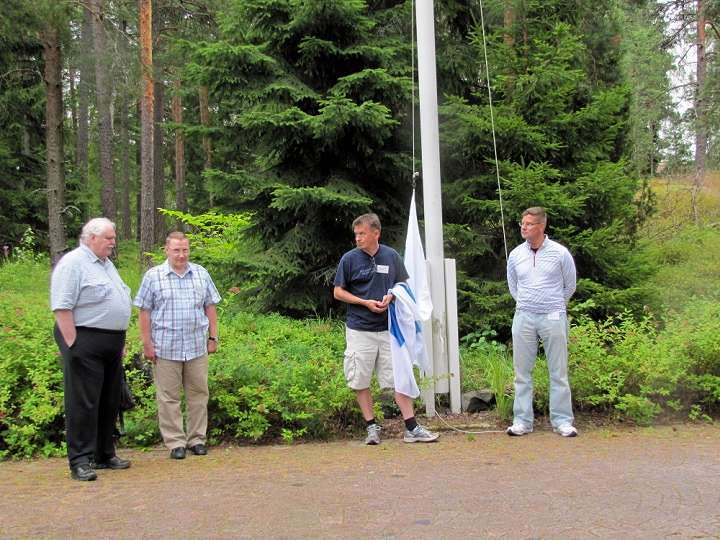 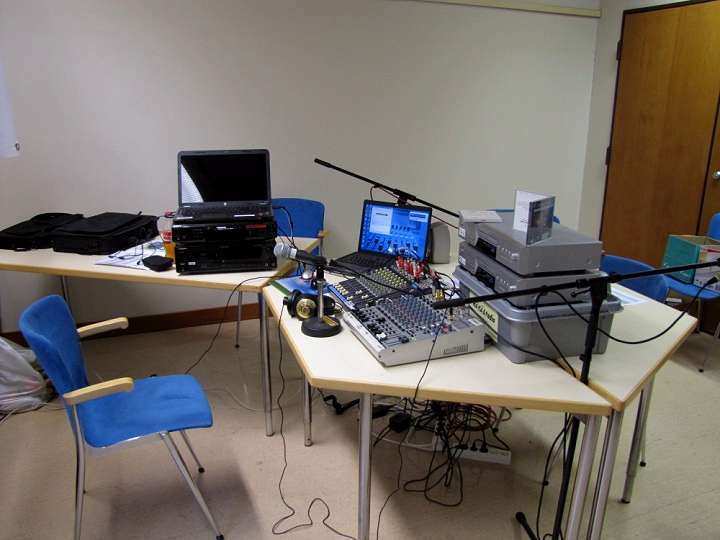 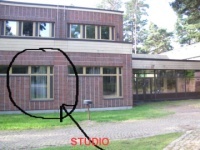 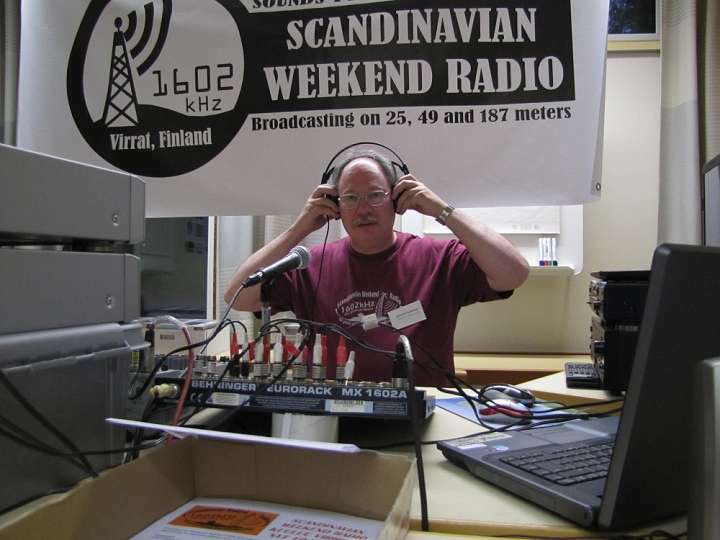 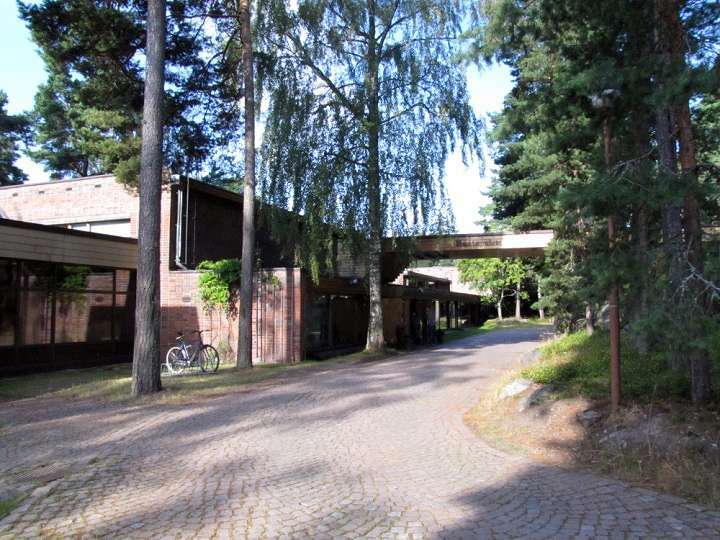 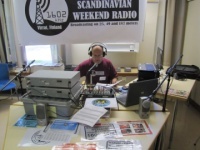 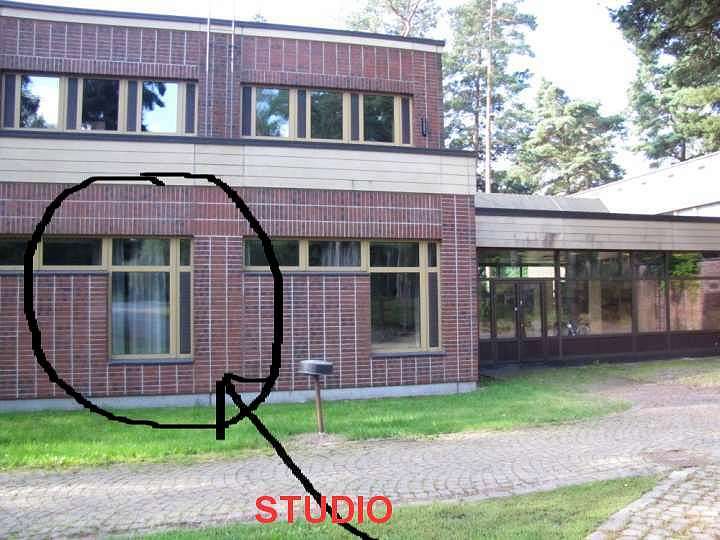 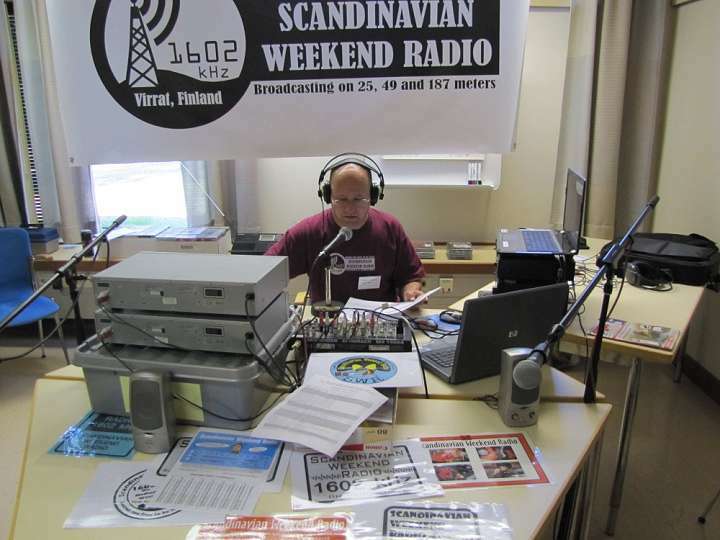 SWR's remote studio at Vuosaari, Helsinki Conference Hotel Rantapuisto (Beach Park) at 4th August. now standing at approximately 30 mts in hight & it should improve our coverage in the Virrat -town. 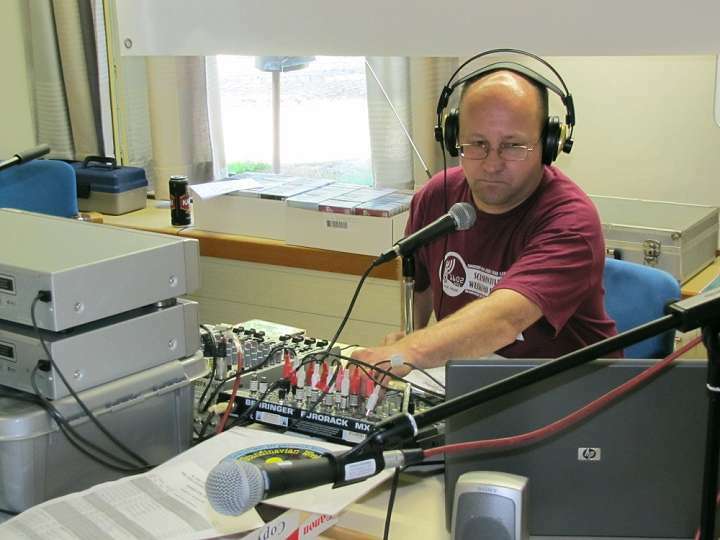 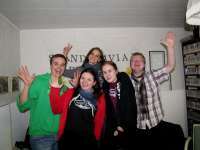 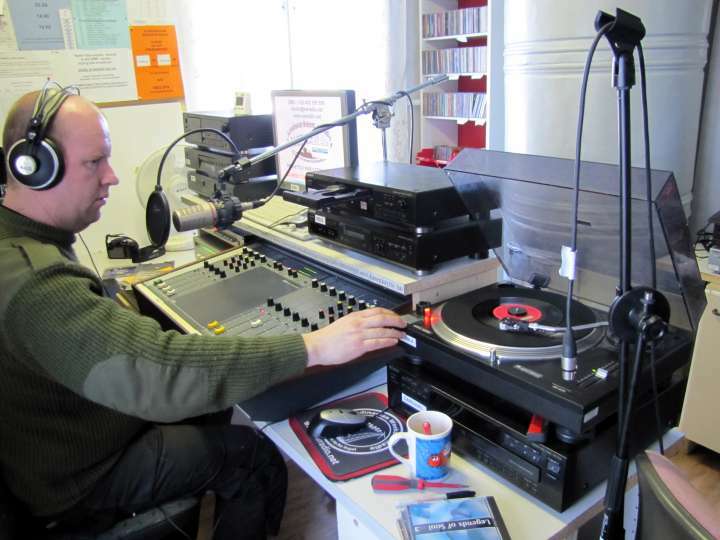 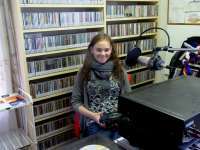 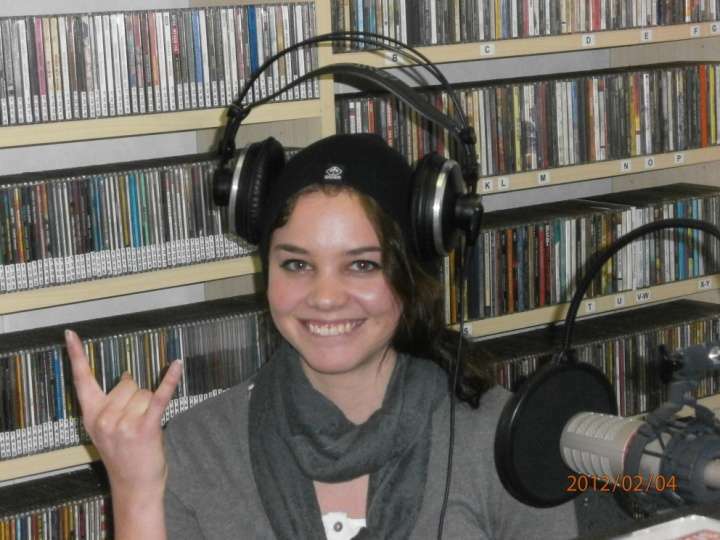 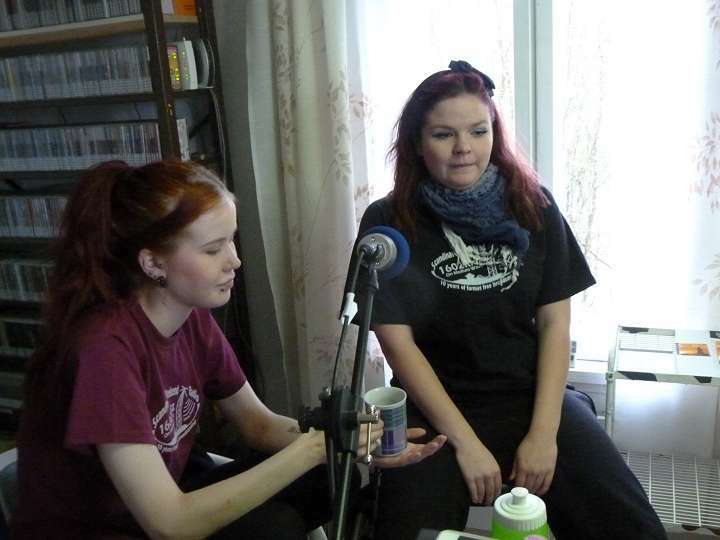 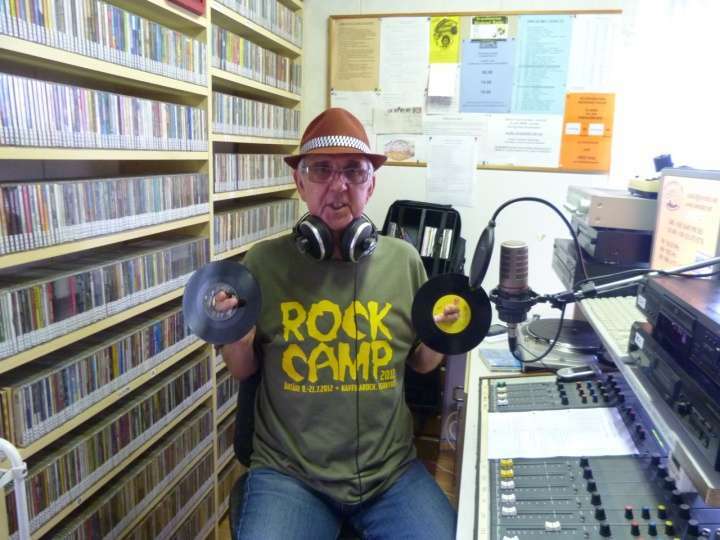 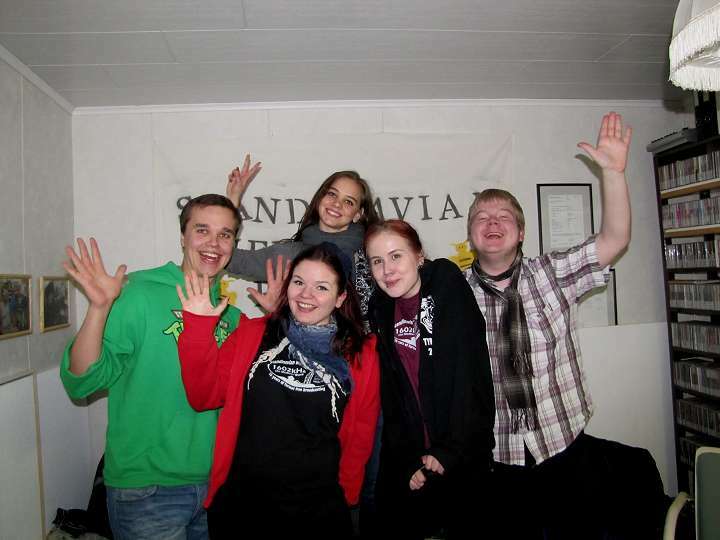 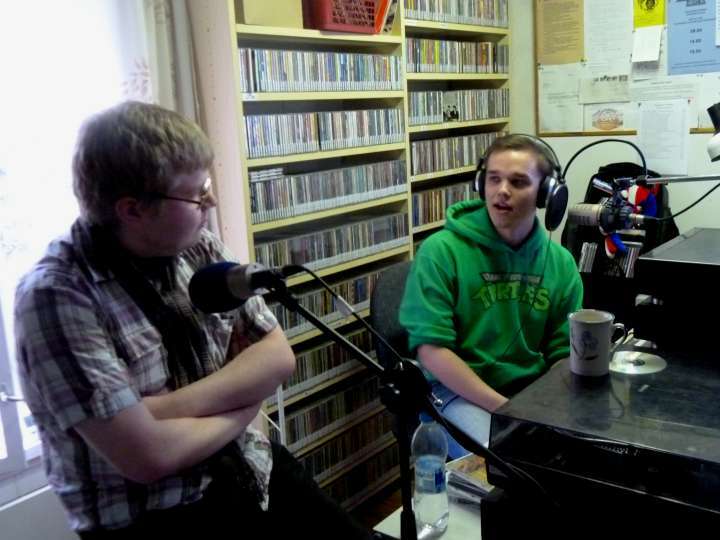 5th May was busy weekend when FM antenna was isnstalled and students were present! 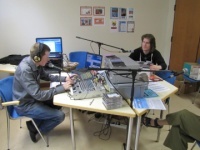 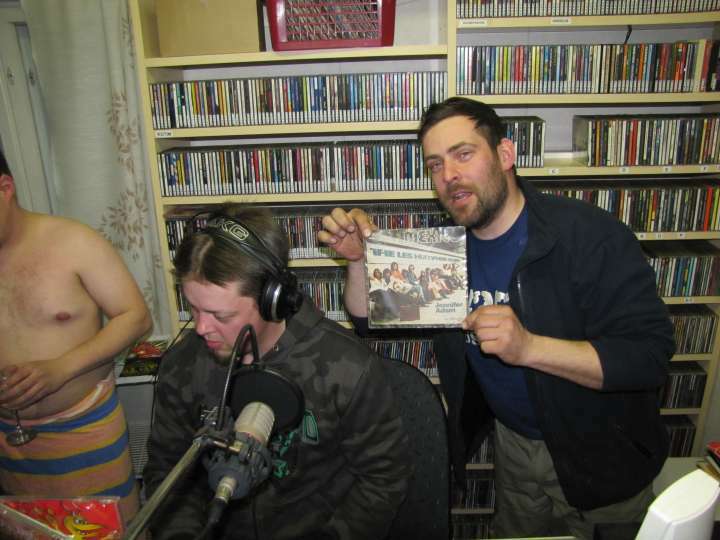 And end of the day we celebrated about opening FM frequency 104,20 MHz. 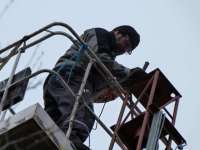 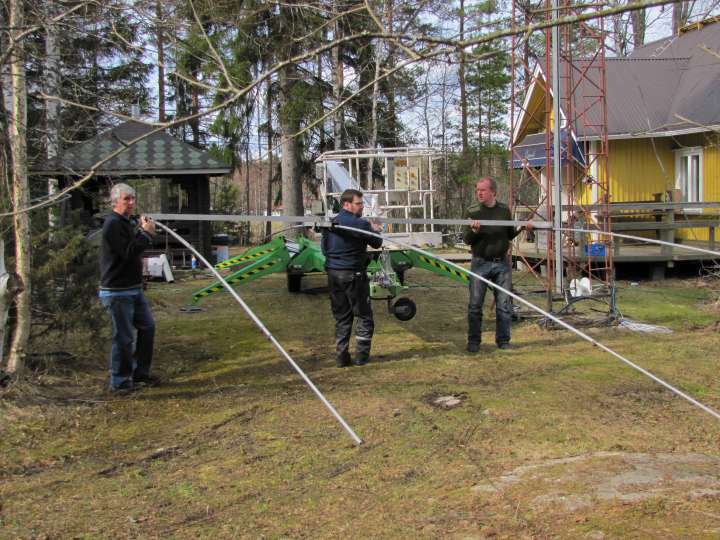 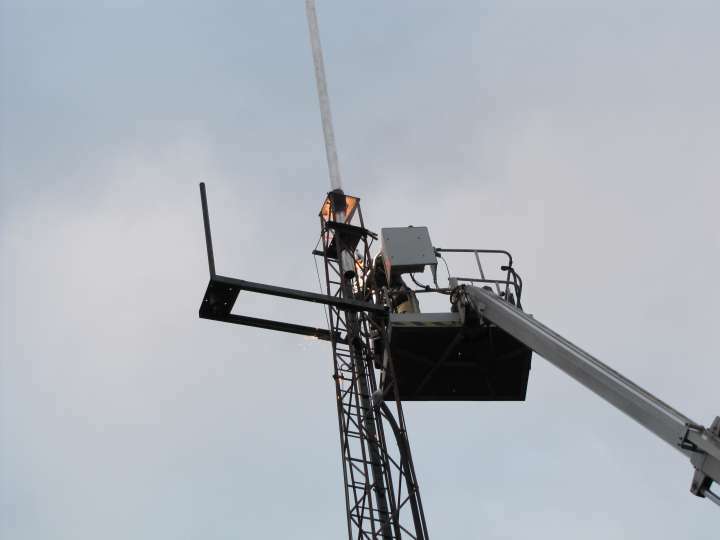 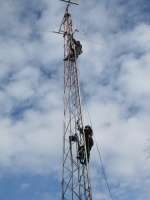 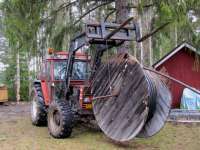 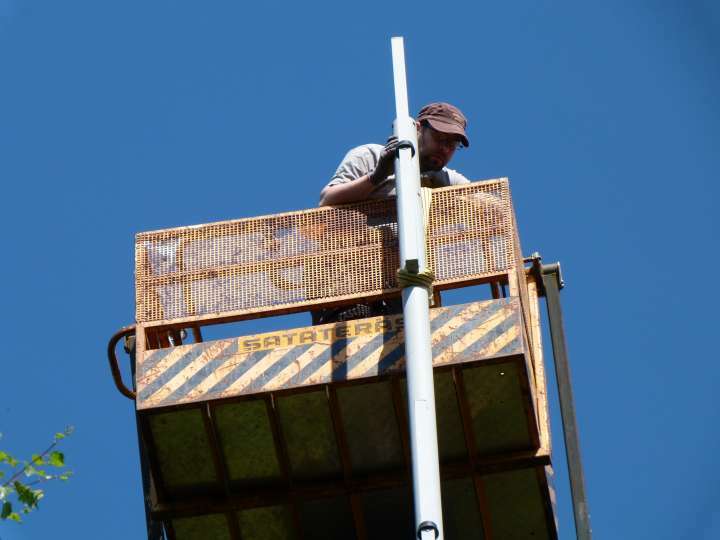 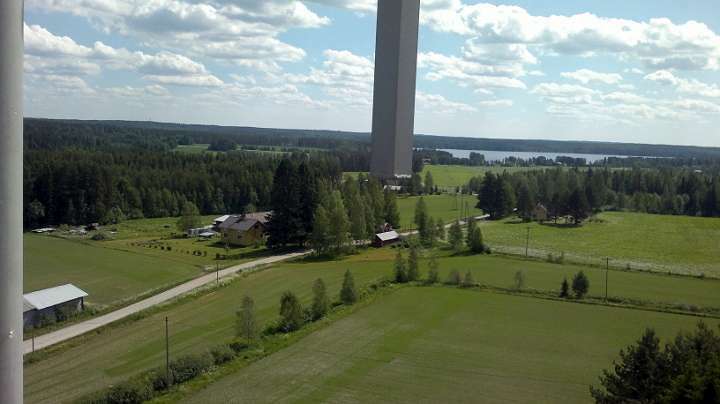 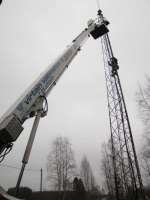 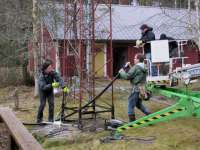 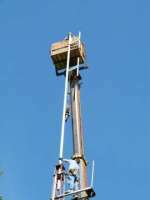 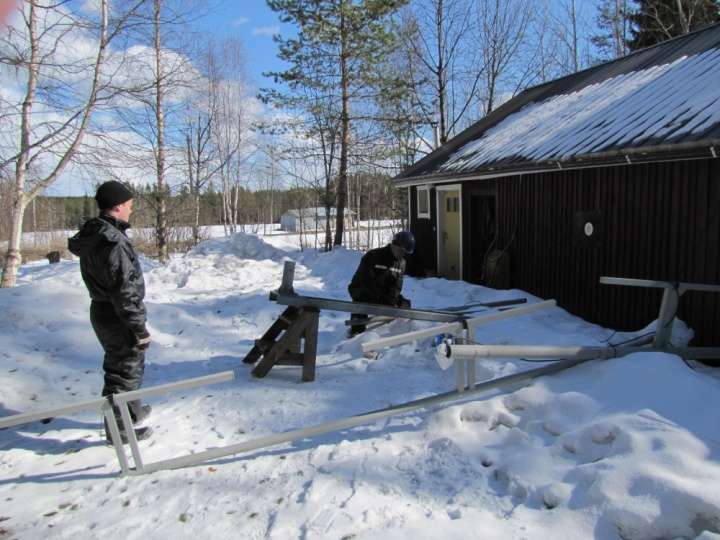 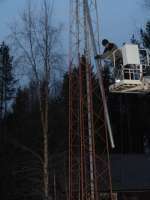 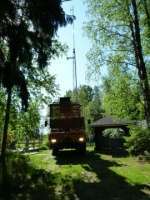 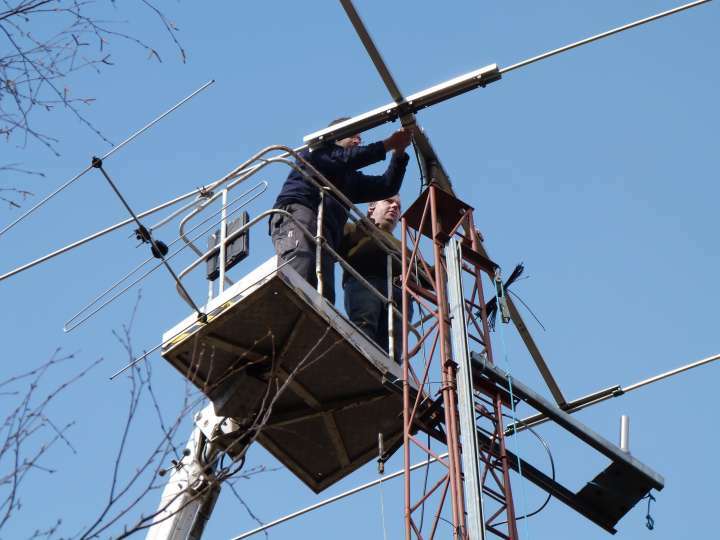 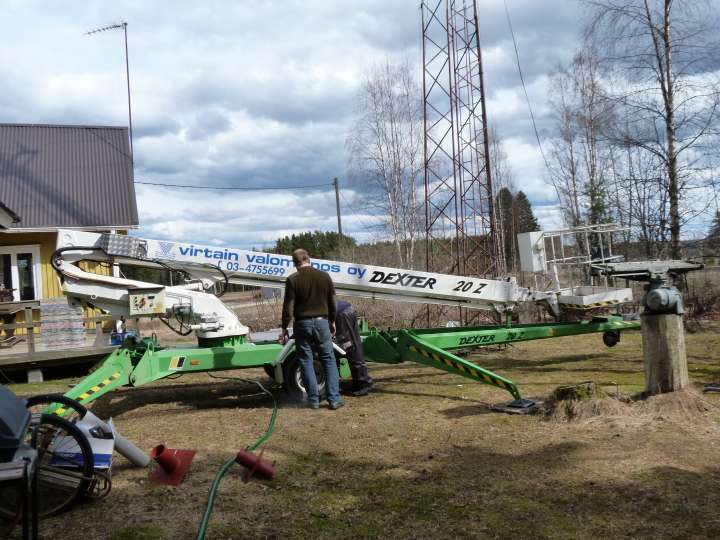 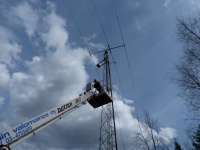 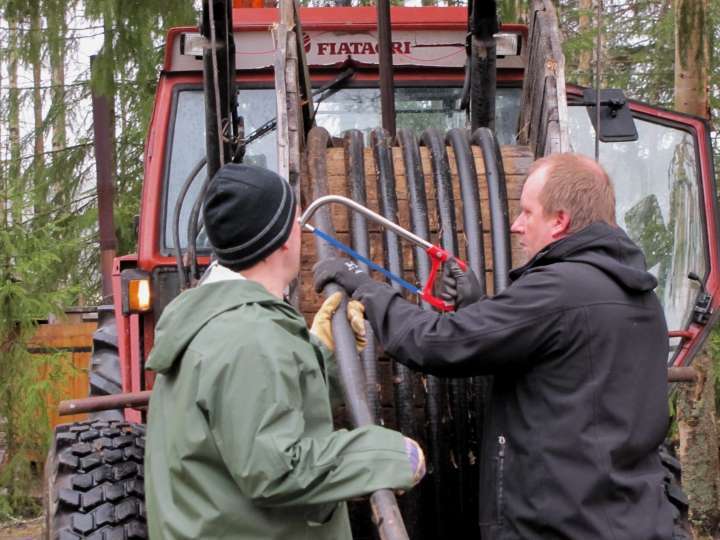 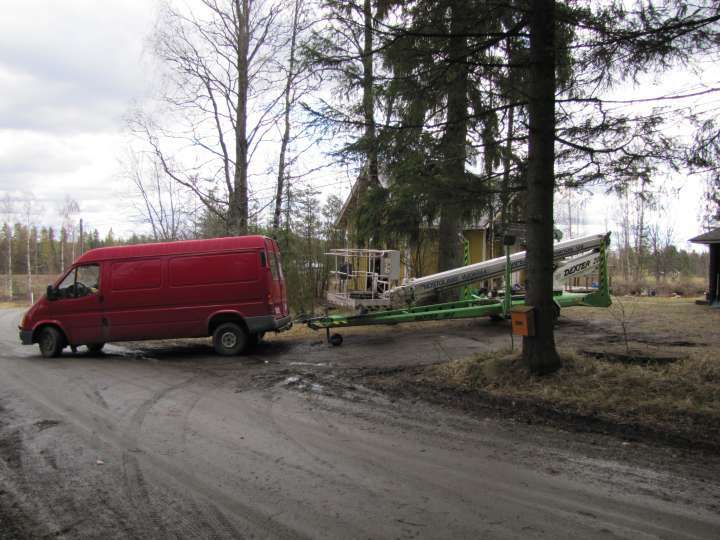 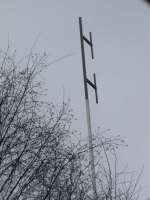 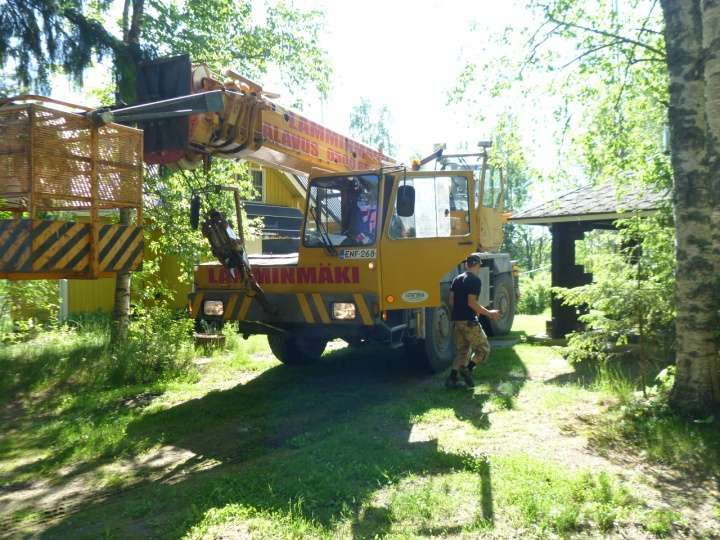 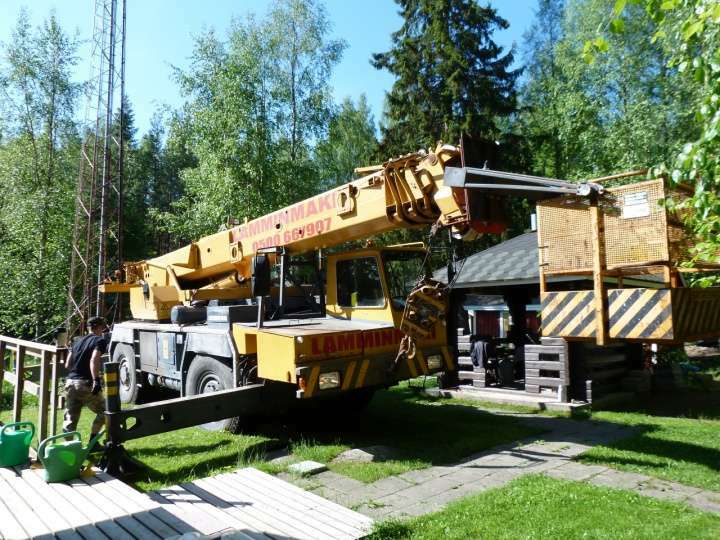 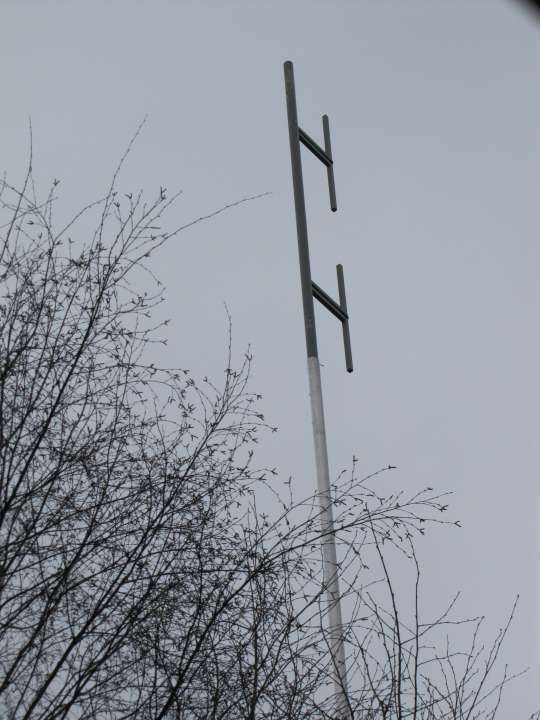 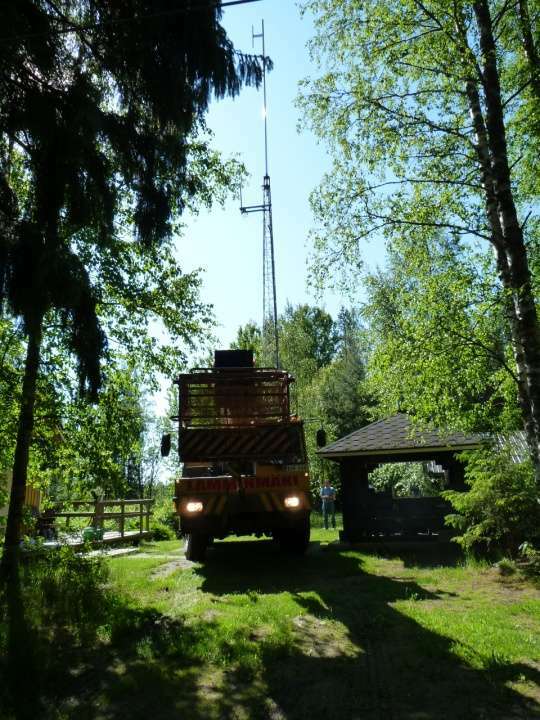 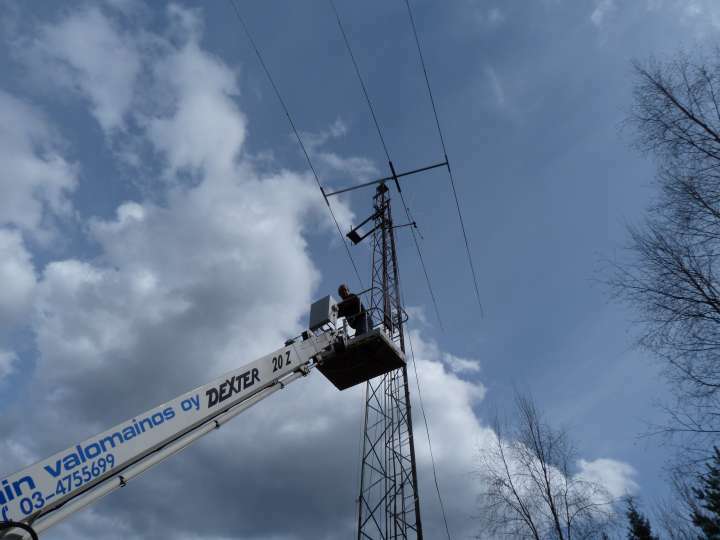 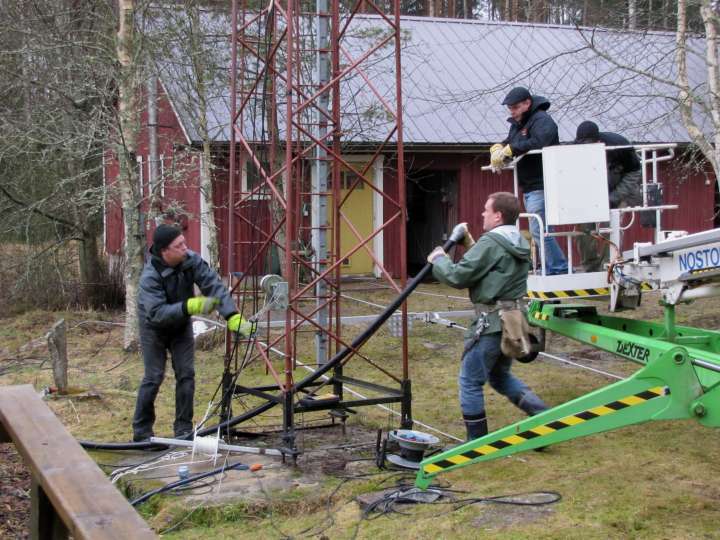 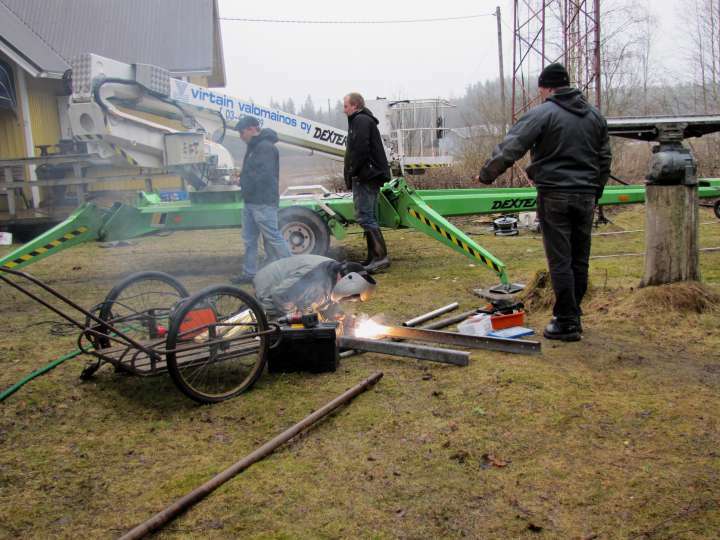 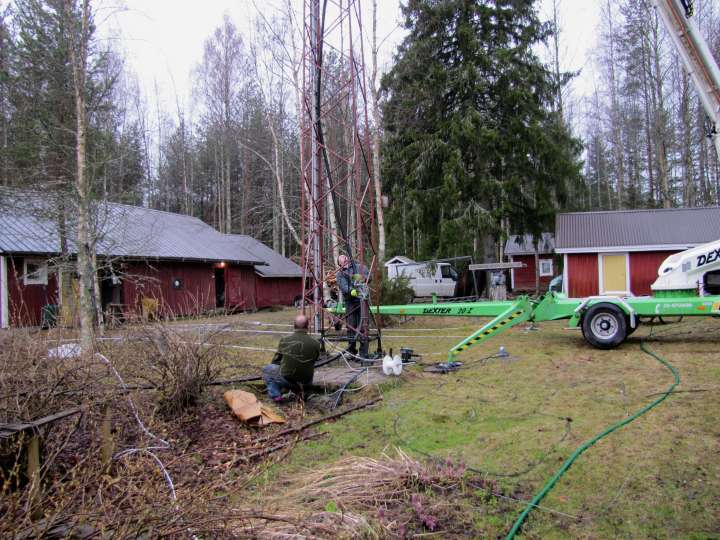 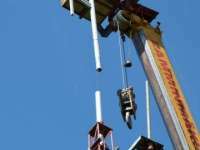 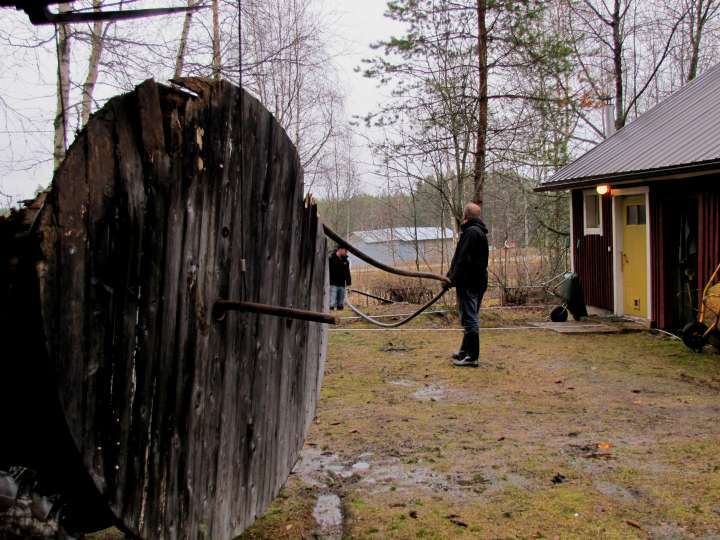 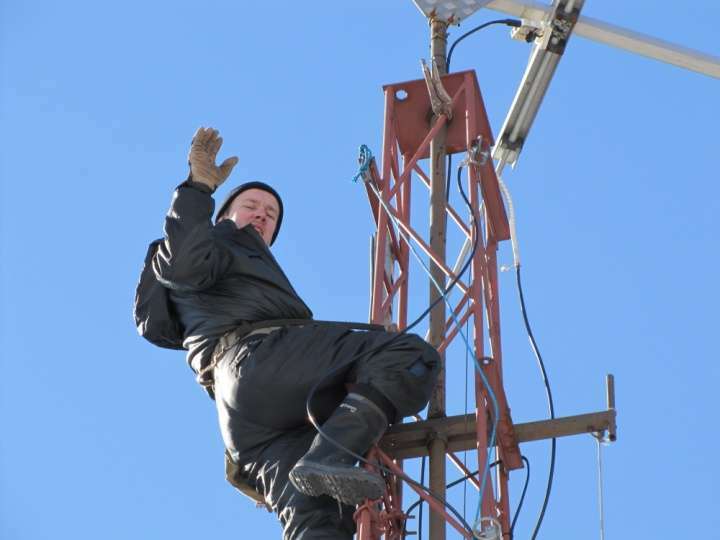 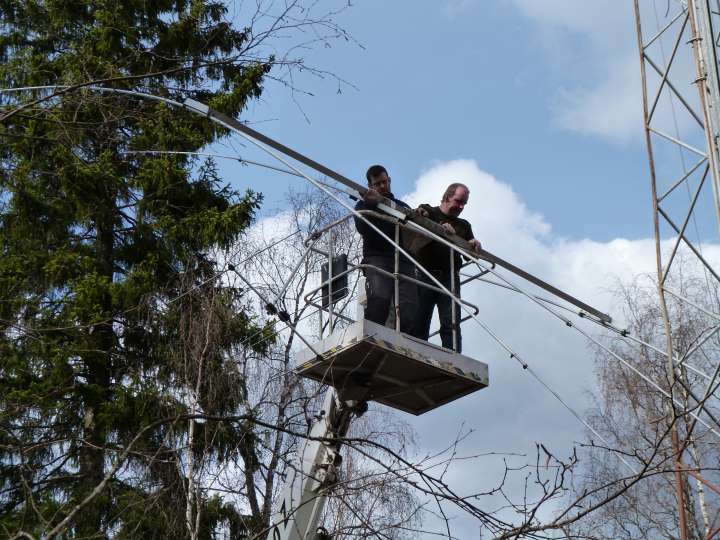 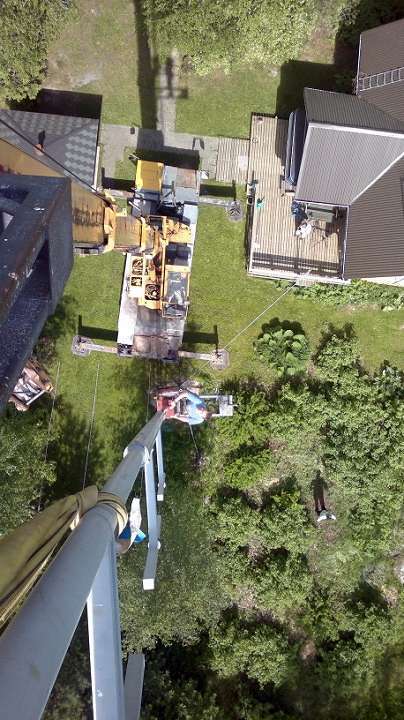 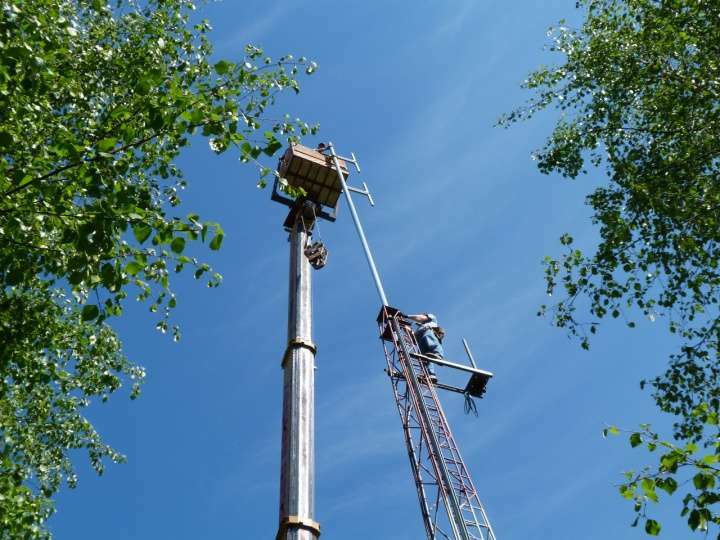 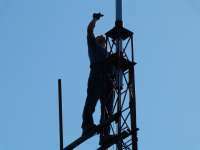 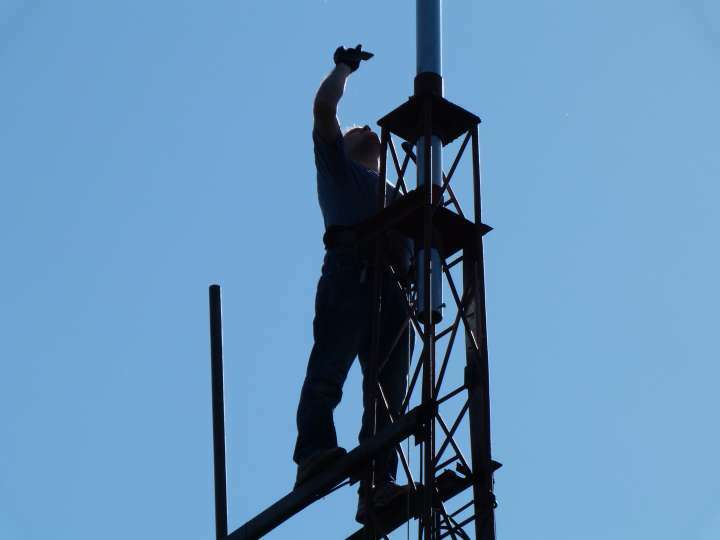 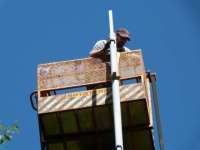 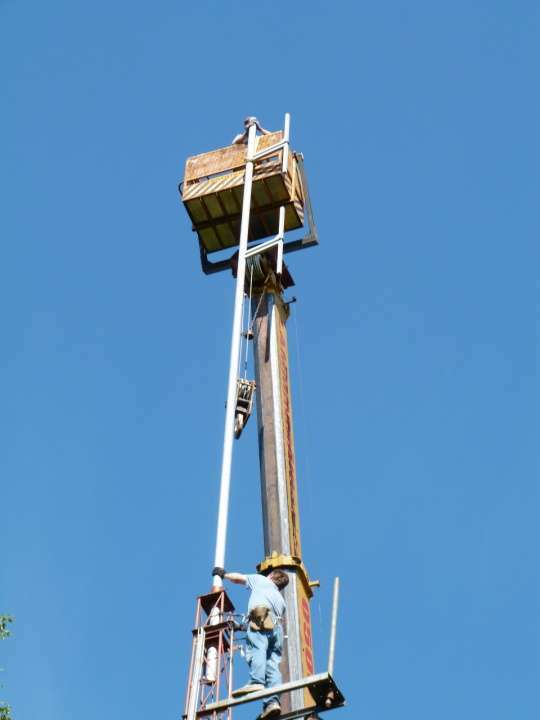 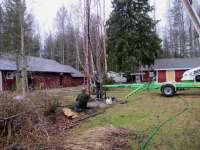 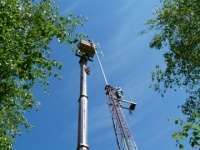 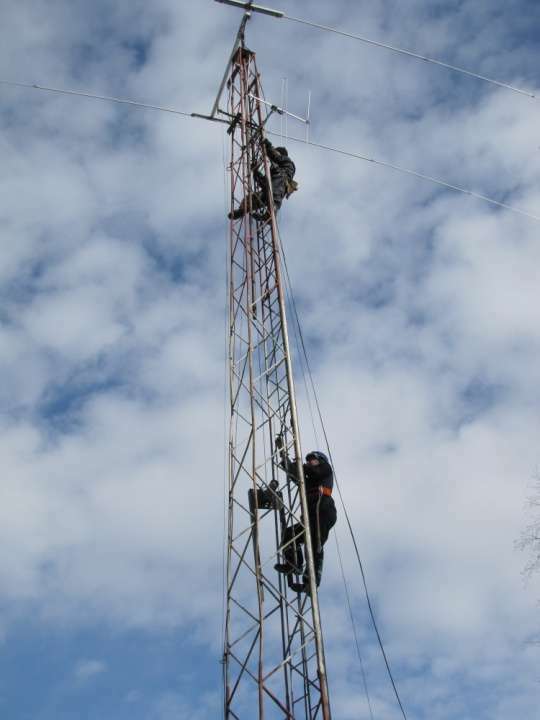 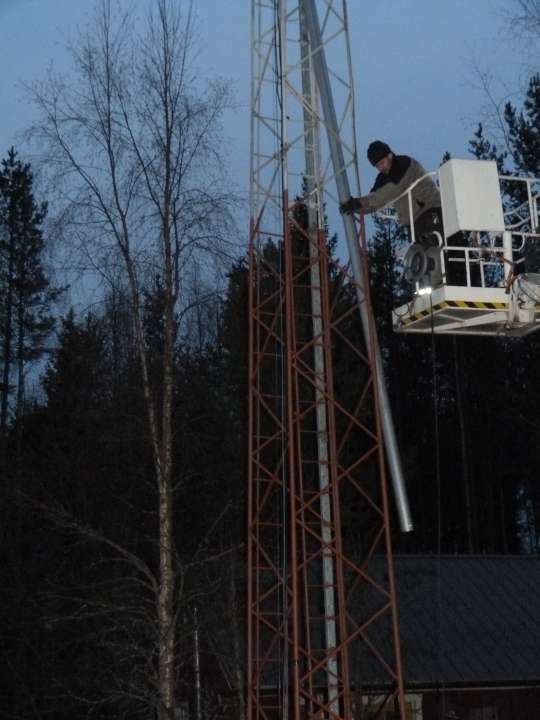 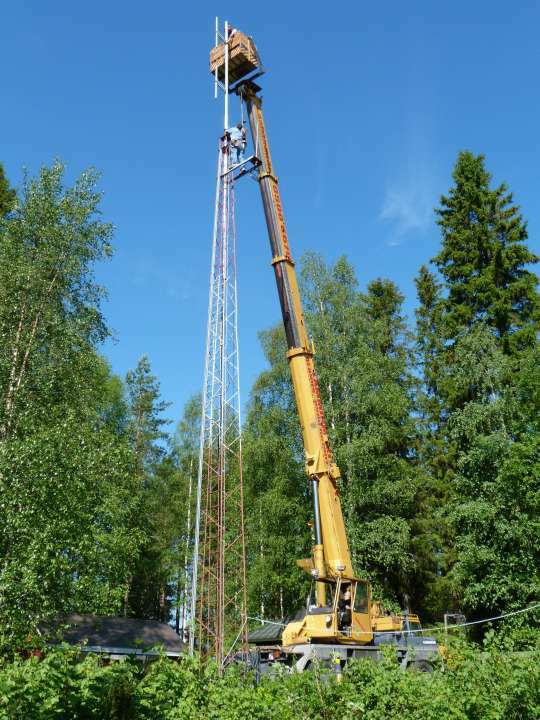 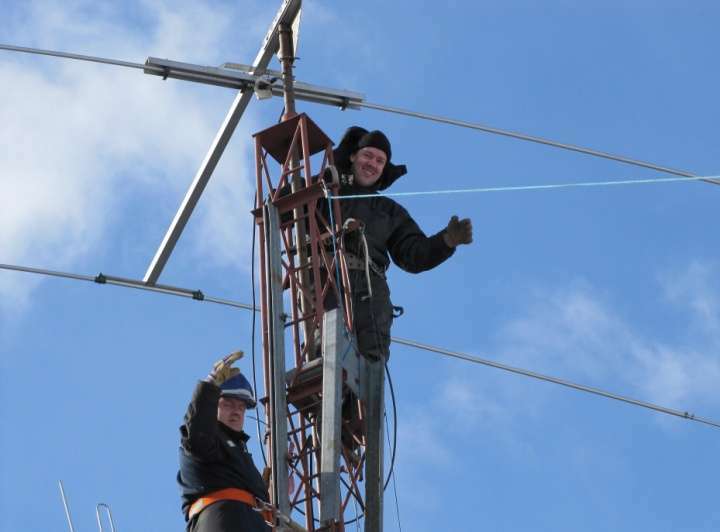 7th April was made pre-installation for the FM antenna to the 25 metre band mast. 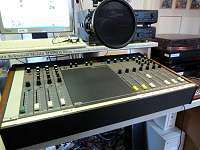 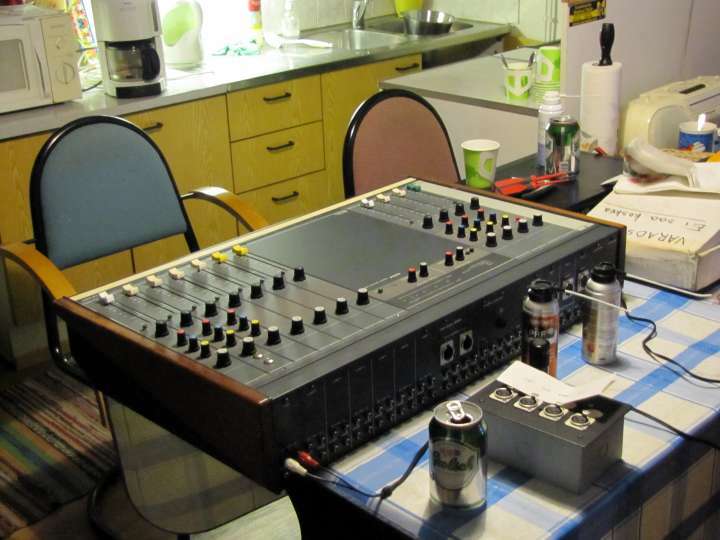 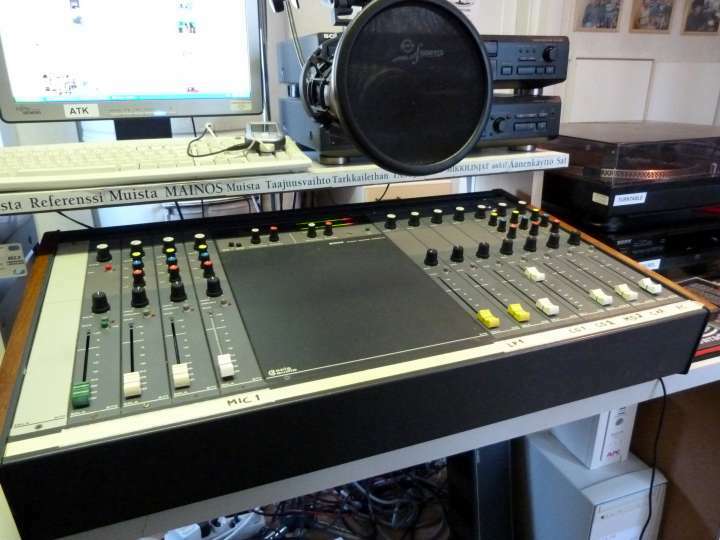 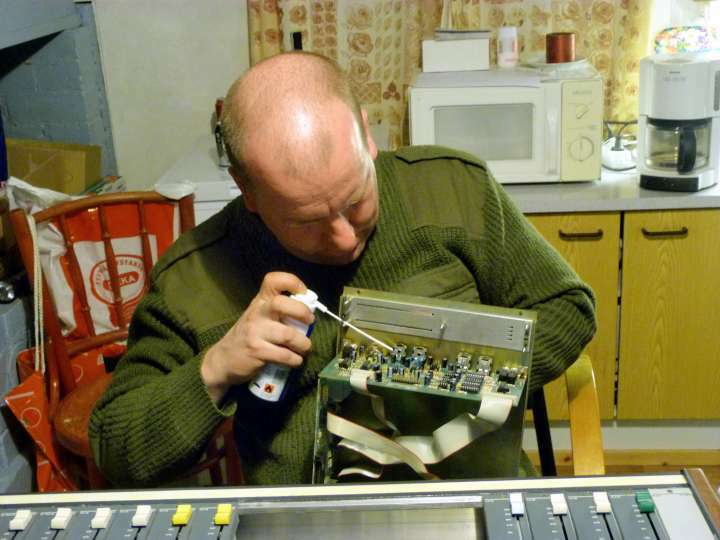 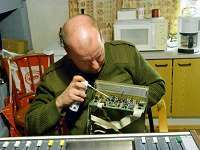 3rd March changed mixing console at the SWR studio from old one to another old one. 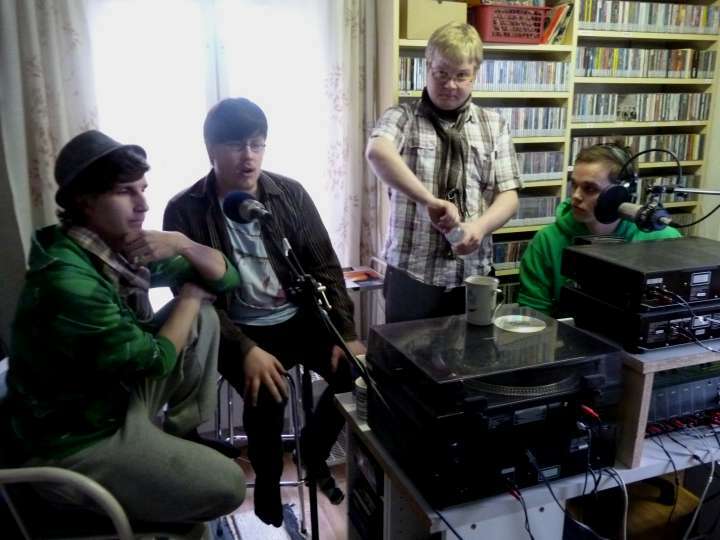 Dream Team in action Feb 4th broadcast. 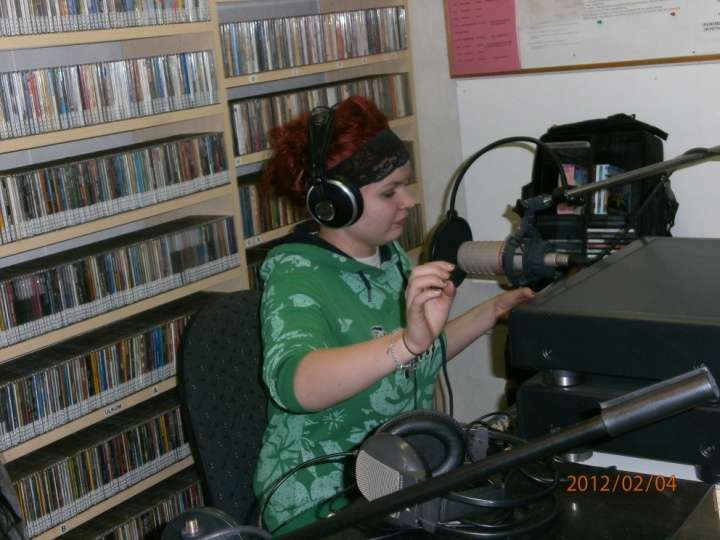 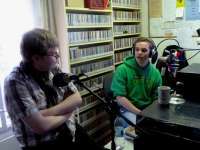 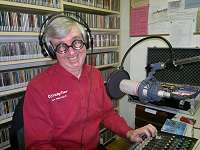 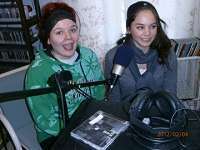 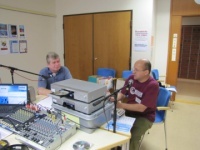 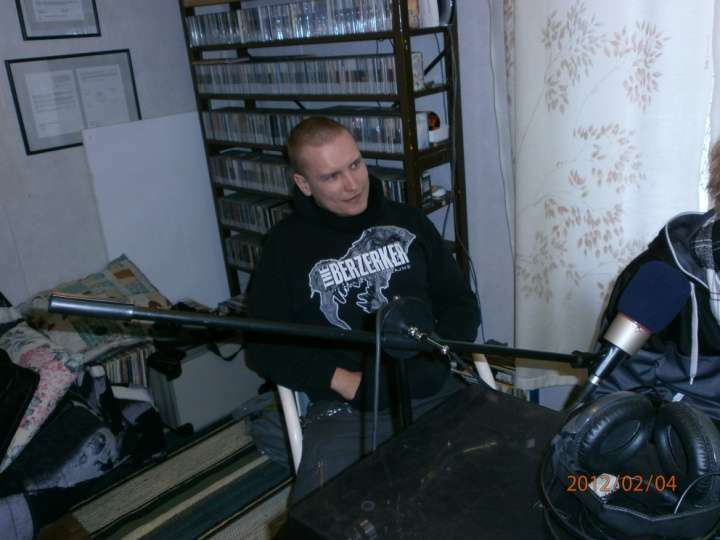 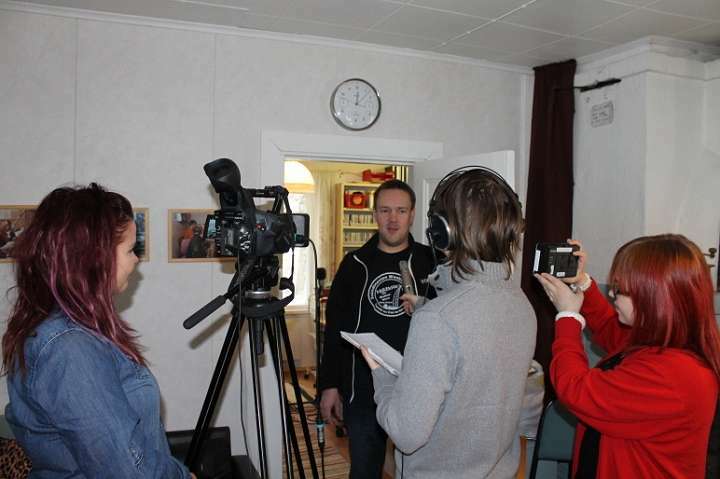 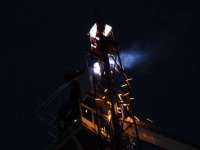 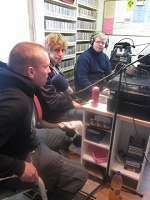 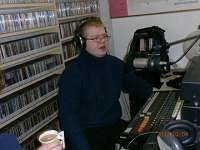 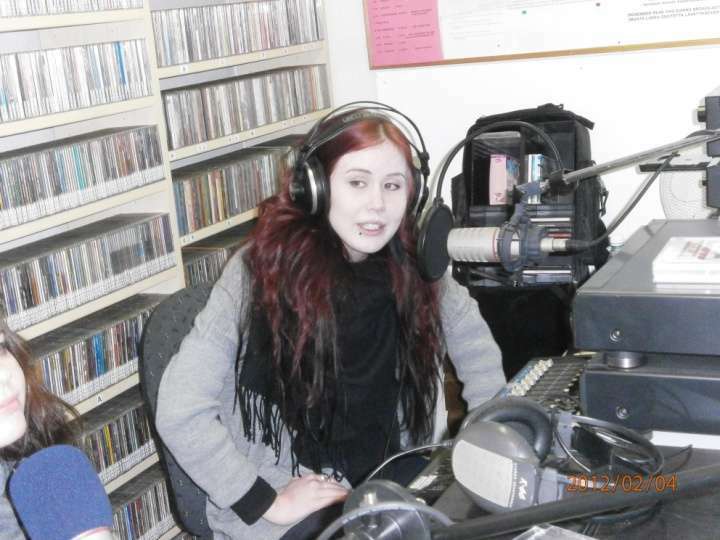 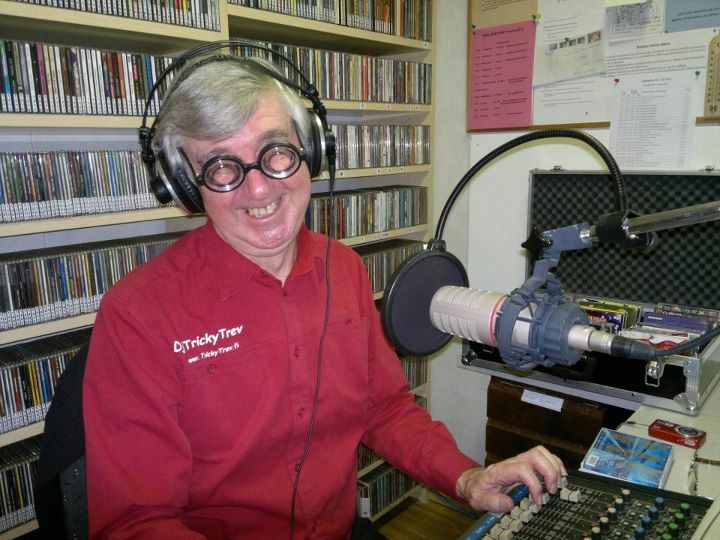 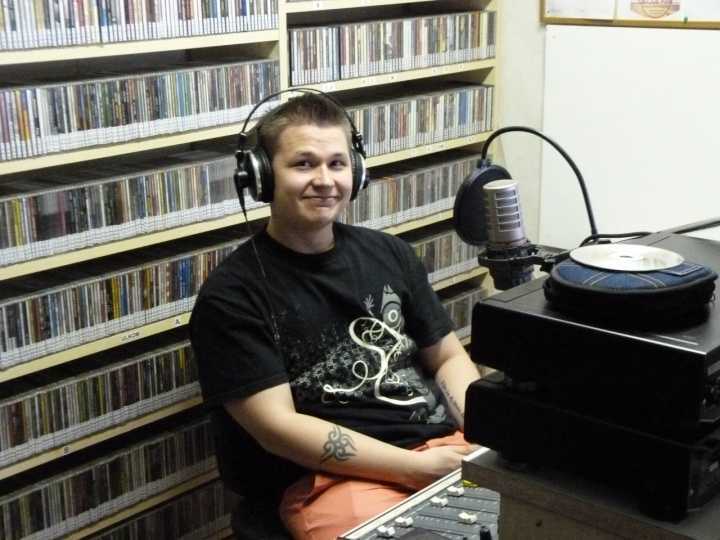 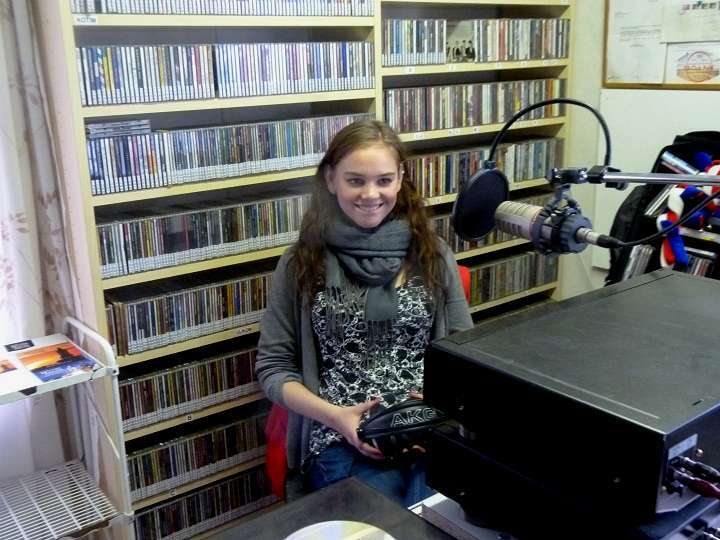 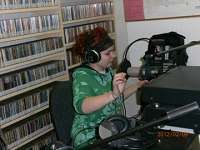 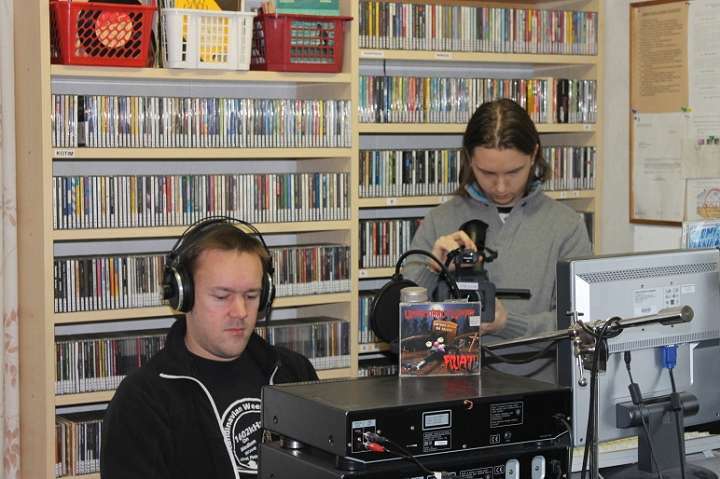 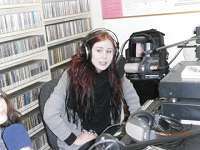 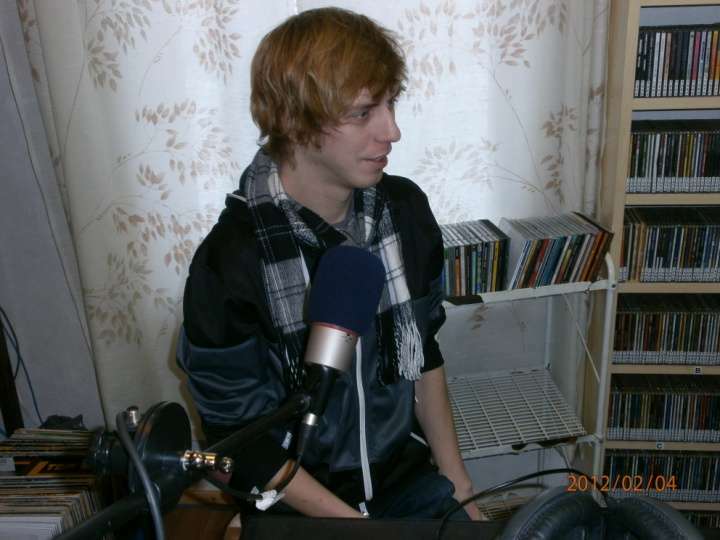 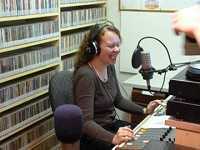 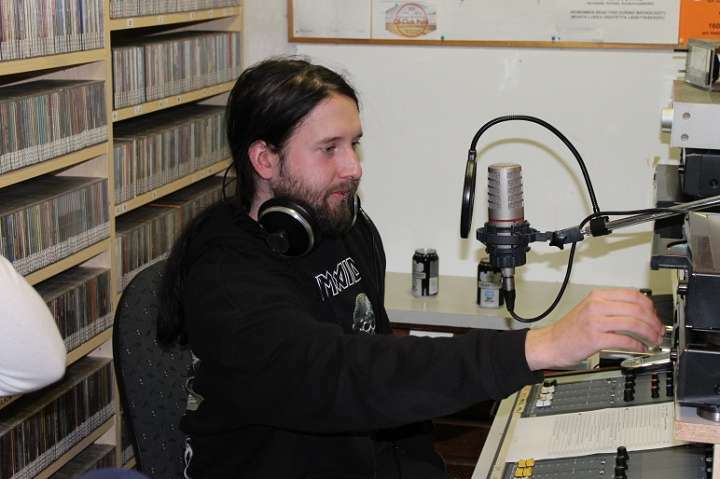 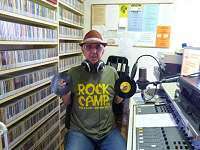 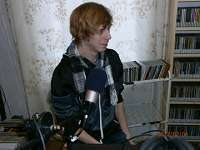 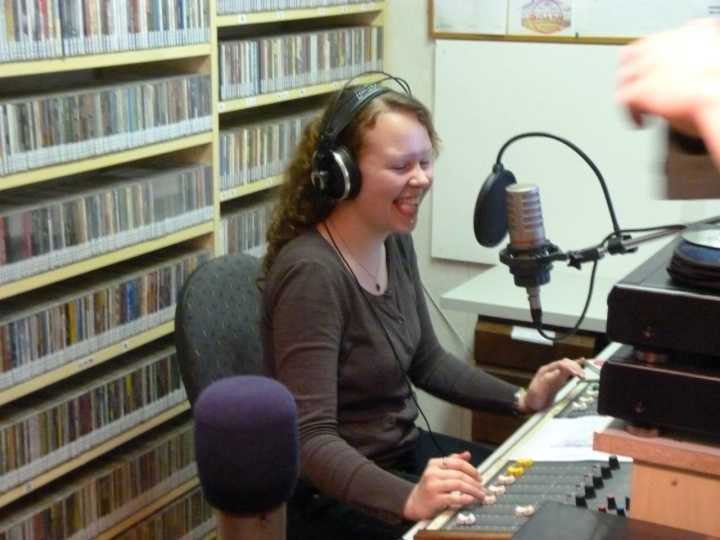 Pics from Jan 14th broadcast happenings. 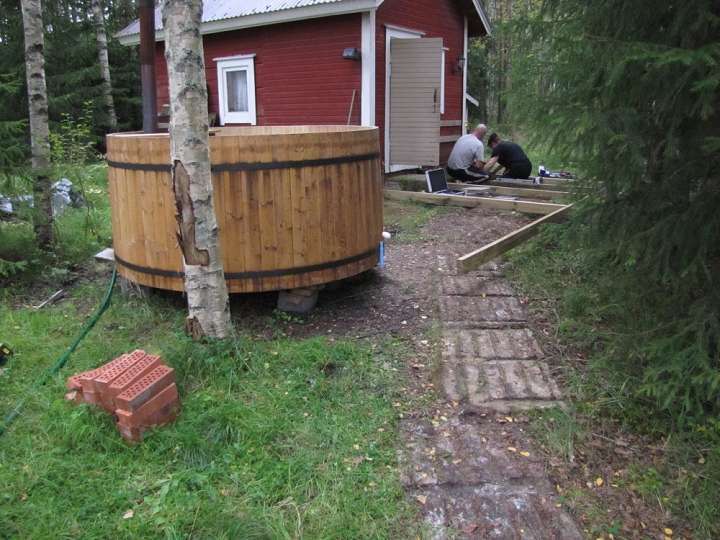 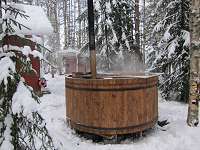 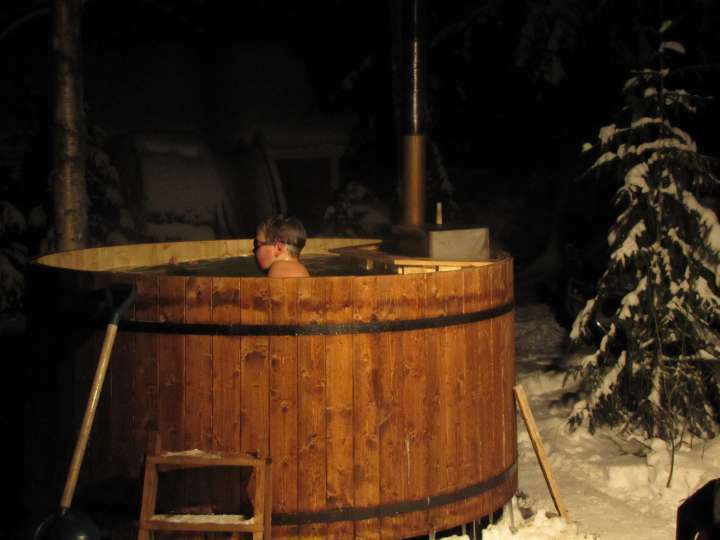 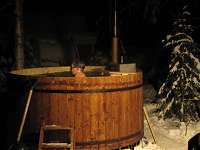 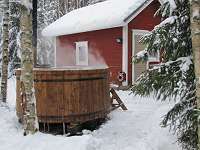 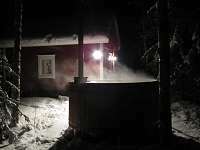 And testing SWR-Hot-Tub.